Wendy Roche and Sharyn Madder are exhibiting together at 205 William Street Melbourne. If you have been coming to our Open Studios you will know and understand that Wendy is constantly evolving and refining her amazing techniques in textile/sculpture. You may also have missed Sharyn's beautiful drawings and paintings at the last Open Studio event so this is your chance to see her newest works. Please note that opening/visiting times are : 10 - 4.30pm Mon-Fri.
Workshop available for Wednesday afternoon 2.00pm to 5.00pm. 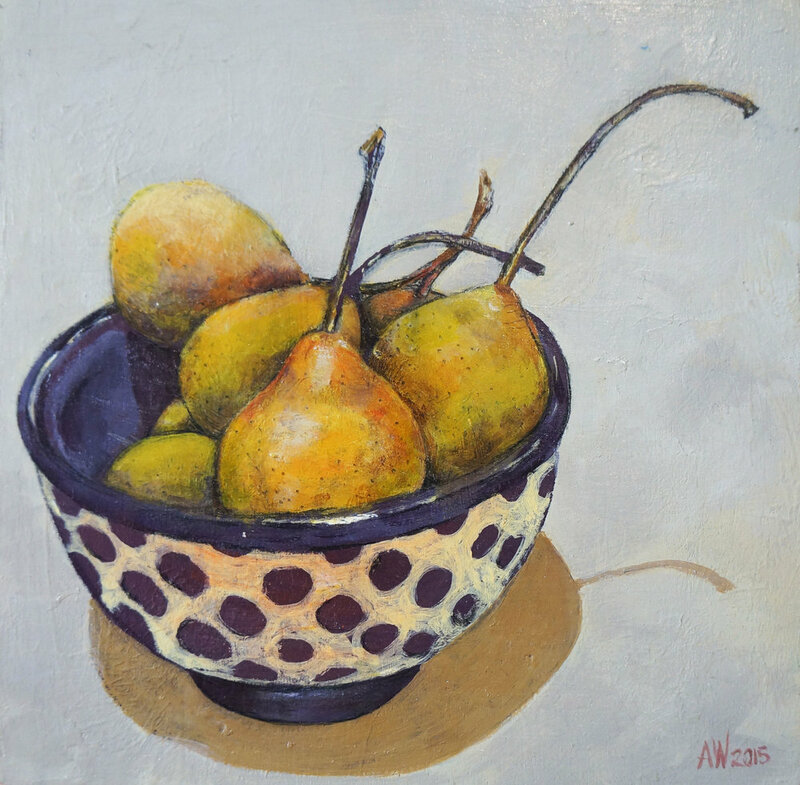 Small Scale, acrylic paint on board painting by Anne Warren. Collage with Layers as suggested by Februllage. Collage and mixed media Artist Anne Warren posts surreal and or quirky assemblages of her work. The work can be layered and considered or it could be quick and ephemeral lasting only the day it was made.